With the cute and cuddly companionship they offer, it′s a wonder that our feline friends sometimes get the reputation for being aloof. 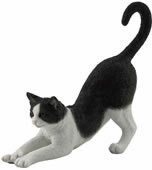 But one thing is for sure; the cat lovers amongst us hold our dearest feline pals in the highest esteem. 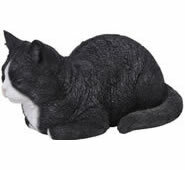 Pay homage to your furry friend with a fabulous cat sculpture, cat statue or cat figurine for your home, office or garden. 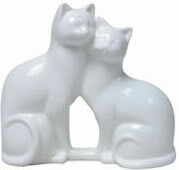 We also offer adorable cat bookends for a warm and welcoming touch to your bookshelves. 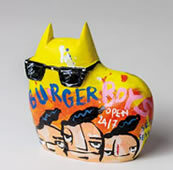 AllSculptures.com has a remarkable selection of items from which to choose, in a multitude of different styles, sizes and finishes. 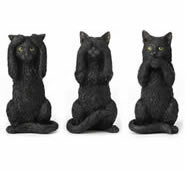 Whether you select a cat sculpture made of crystal, porcelain, brass, cast iron, bronze, stone, or resin, it is sure to make a lovely gift for yourself or a dear friend. 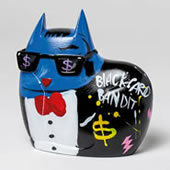 (And as a bonus, they are guaranteed not to run away from you while being aloof, if you know what we mean).